This infographic aims to demonstrate some of the key elements of our food system in Greater Sudbury. This fact sheet provides some ideas about who we are and the role we can play in ‘growing a sustainable food culture’. In 2004, the City of Greater Sudbury and the Sudbury & District Health Unit (SDHU) endorsed the City of Greater Sudbury Food Charter. The Food Charter outlines how Sudbury will work towards community food security through research, policies and programs that endorse 1) Population Health and Wellness; 2) Community Development; 3) Investment in the Regional Food system; and 4) The Development of a Sustainable Food System. Since 2004, community initiatives have supported the mandate of the Food Charter for example the Eat Local Sudbury Co-operative, the Agricultural Reserve, the development of community gardens, the Sudbury & District Good Food Box program, the Foodshed Project’s Grow a Row program, the annual Seedy Sunday event, among others. However, there are still many significant needs and opportunities related to creating a vibrant, healthy and sustainable food system across the City of Greater Sudbury that demand more coordinated action. To this end, local stakeholders initiated a process of developing a Greater Sudbury Food Policy Council. area citizens are knowledgeable about the food system and its impact on their individual lives and community. Programs – encouraging programs and services without duplicating the role or work of existing stakeholders. Regional Food System: The geographic area including and beyond the City of Greater Sudbury that encompasses nearby agricultural lands and communities from which the citizens of Greater Sudbury derive a significant portion of their food, now or potentially in the future. Consensus Decision: A group decision making process that seeks an acceptable resolution, one that can be supported, even if not the “favorite” of each individual. 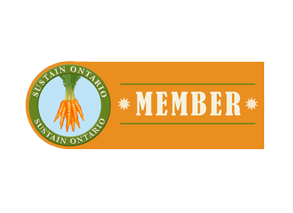 Voting Member: A GSFPC member who is acting as a citizen representative of the Greater Sudbury food system and not a specific sponsoring organization. Resource Member: A member of the GSFPC who is assigned by a governmental department or an agency on a temporary or ongoing basis to support the work of the GSFPC and who are representing their agency or the government food system perspective. There will be a maximum of fifteen (15) and a minimum of seven (7) voting representatives on the GSFPC as listed in the representation identified below. If the number of voting representatives drops below the minimum 7 the work of the council may continue but all efforts should be made to recruit additional voting members. Voting members will be selected based on the strength of their personal qualifications and will not act as representatives of a specific sponsoring organization. They will represent the rich diversity of Greater Sudbury. Individual voting members may however have particular professional networks or non-confidential information that can be brought to the GSFPC for the benefit of its mission and work. Government employees may also apply to become full voting members of the GSFPC as per the usual process. The GSFPC membership will normally be limited to residents of Greater Sudbury, or in some cases of nearby communities within the regional food system. See definition. Their professional or community work reflects the vision and mission of the GSFPC. They can help the GSFPC to have dialogue and partnerships with at least one distinct population or sector group in the City of Greater Sudbury or regional food system. They respect the complexity and sensitivity of the GSFPC’s work with diverse partners, and appreciate the need for personal and group skills in problem-solving and “getting to yes”. They are able to attend monthly meetings of the GSFPC on a regular basis, and can participate in working group meetings as required. New members will be recommended by the Membership Working Group or GSFPC Chair or Vice-Chair and approved through unanimous decision of the continuing GSFPC members. Members may join through this process at any time during the year. Members will be posted on the GSFPC website. The GSFPC is normally be led by a Volunteer Co-Chair and Resource Co-Chair working in collaboration. The Volunteer Co-Chair is a full voting member of the GSFPC not representing any particular organization, while the Resource Co-Chair is a non-voting resource member of the GSFPC acting in the role as part of their job duties with another organization. The Co-Chair positions are two year maximum terms, normally staggered such that only one new Co-Chair is elected each year. GSFPC voting members will annually elect new Co-Chairs as needed at a meeting of the GSFPC through a nomination and secret balloting process should it be needed. This election will occur at or soon after the May meeting when all membership terms are confirmed as per 7(b) below. A limit on the number of terms a Co-Chair may serve are the same as those for all members as per 7(b) below. The Volunteer Co-Chair is normally responsible for chairing GSFPC meetings, leading the setting of meeting agendas, ensuring meeting times and locations facilitate the participation of volunteer council members, leading the overall direction of the GSFPC, as well as assisting with recruiting new members. This leadership role is designated to ensure the GSFPC remains rooted in the needs of individual community members of Greater Sudbury. The Resource Co-Chair is normally responsible for ensuring meeting agendas and minutes are written and shared with members in a timely fashion, providing input into agenda setting and the overall direction of the GSFPC, assisting with recruiting new council members, reserving meeting rooms for the GSFPC, facilitating guest speaker attendance at GSFPC meetings, and filling in for the Volunteer Co-Chair as needed. This leadership role is designated as such to ensure the smooth functioning and continuity of the GSFPC, and ensure that the Volunteer Co-Chair is not tasked with significant administrative duties. At least one of the Co-Chairs shall be a member of the Membership Working Group. The Co-Chairs may also call meetings in between regular GSFPC council meetings, to bring together key members and resource people to plan for upcoming council meetings and guide the work of the council. New voting members will be appointed yearly for a term of two years, though consideration will be given to those only available for a one year term. Terms on the GSFPC will be renewable up to a maximum of six years. However, if voting membership numbers are below maximum (15), the term for a voting member could be extended past 6 years. Term renewals will be reviewed and approved by consensus. If consensus is not achieved a decision will be based on approval of at least 75% of the GSFPC voting members (or ten members of a full fifteen member council). Terms will normally begin in the month of May. If a voting member joins at another time of year, their term length will normally be rounded to the nearest month of May so that its length is set between 1.5 and 2.5 years in total. Their term length will be specified clearly at the meeting at which they are officially accepted as a member and will be recorded on the website. The City of Greater Sudbury, the Sudbury & District Health Unit, the Ontario Ministry of Agriculture and Food/ Ministry of Rural Affairs, or other relevant government departments or agencies may assign staff on a temporary or ongoing basis to support the work of the GSFPC. On a case-by-case basis, they may also assign staff to work on specific GSFPC projects or activities for a period of time. These staff support personnel are additional, non-voting Resource Members of GSFPC, not accounted for in the maximum fifteen-member makeup of the GSFPC. A Municipal Councillor may act as a resource or be a voting member. Only GSFPC voting members will have voting privileges. The Chair and Vice-Chair are active members of the GSFPC and therefore can vote, unless the position is being filled by a resource member, in which case that Chair/Vice-Chair will not have a vote. Decisions will be made by motions. All efforts will be made to come to a consensus. If consensus is not achieved a decision will be based on approval of at least 75% of the GSFPC members. The Council will refer to the Decision-Making Process outlined in Appendix A for guidance. Voting council members not able to attend a particular meeting may vote by email or other form of written communication to the Chair or Vice-Chair within seven days before or after the council meeting at which the vote in question took place. If requested a secret ballot will be used. If issues of an urgent nature arise in between council meetings, a Chair or Vice-Chair may call for a vote by email (either on their own initiative or at the request of one of the members). The Chair or Vice-Chair must provide voting members a minimum of five days to submit their vote, as well as the information required to make a decision and the rationale for why a vote is required in between meetings. As above, at least 75% of the voting members must approve the motion for it to be considered passed. Missing three council meetings a year without prior discussion with Chair or Vice-Chair is deemed equivalent to a resignation. Written resignation can be sent by mail or email to the Chair or Vice-Chair at any time. Council members are expected to actively participate. If a member sends regrets for a number of meetings (more than 6 in a row without explanation) and is not participating in the activities of the Council this is deemed equivalent to resignation. The GSFPC will operate with working groups and task groups. Working Groups will be standing or ongoing groups organized around a sector/component of the food system for more focused work and coordination related to that sector/component. Task groups will normally be ad-hoc, cross-sectoral, short-term, and established in conjunction with the GSFPC’s work plan and identified priorities. Appointment of GSFPC members to working groups is accomplished by majority vote of the GSFPC. Both working groups and task groups will regularly report to the GSFPC in order to ensure their activities are consistent with these Terms of Reference. All communications with the public by working or task groups will be pre-approved by the GSFPC Chair and Vice-Chair. The GSFPC will establish a Membership Working Group with the role of tracking membership, and seeking and nominating appointments and replacements. GSFPC members will be expected to participate in at least one working group as required. Working Groups will be composed of GSFPC members as well as other individuals with outside expertise. Invitation and selection of non-GSFPC working group members will be at the discretion of GSFPC working group members. At no time shall non-GSFPC members comprise more than 50% of the membership of any working group. Missing three working group meetings a year without prior discussion with the working group leader is deemed equivalent to a resignation from the Work Group. The minute taking role will be rotated among members in the absence of support staff. The GSFPC will meet monthly, with the possible exceptions of December and August. A standing meeting time is determined by consensus. The frequency of working group meetings will be determined on a case-by-case basis. The public is invited to observe all GSFPC meetings, except where confidential matters will be discussed. Non-members of the GSFPC can request to be placed on the agenda in advance by contacting the Chair or Vice-Chair. The attendance of at least fifty percent plus one of the current number of voting council members is required to hold an official meeting of the GSFPC and make decisions. This Terms of Reference shall be reviewed on an annual basis for relevance and accuracy. Proposed future amendments to the Terms of Reference shall be circulated at least 14 days prior to a GSFPC meeting at which the amendments may be adopted by unanimous consent of the GSFPC voting members (either present, attending by phone, or voting by email or mail proxy). Acknowledging differences comes first when building consensus. Then people can bring forward solutions and the group should consider each one at a time. In consensus decision-making, the individual is responsible for expressing their concern, and the group is responsible for resolving the concern (if deemed aligned with GSFPC’s Vision and Mission). A principle of consensus decision-making is that differences will strengthen the proposal on the table. It is important that all group members take this to heart. Is the concern within the GSFPC’s Vision and Mission? Have we involved the necessary decision-makers or is this an issue for another group (or do other individuals need to be consulted)? Which concerns can be resolved? Differences should be dealt with immediately if it is blocking further decisions. Consider one proposal at a time. Overall, the objective of consensus decision-making is to implement proposals on which everyone agrees and everyone is included in the decision-making process. Typically, this consensus process works well with a maximum of 15 to 20 people. Participation is a critical component of consensus decision-making since all ideas and concerns should be considered to create better solutions. The goal of consensus decision making is to grow community and trust within the group. Discussion and expression of the ideas for improvement is likely to address the concern. A minor concern in the consensus model can take three forms. Standing aside happens when an individual that does not support the proposal but doesn’t want to stop others from implementing it. A reservation in the consensus model is when an individual is not completely satisfied but is generally supportive, and would allow the idea to be implemented. Non-support is when an individual doesn’t feel the proposal is needed, but they are willing to go along with it. With each of these minor concerns, it is crucial that they are openly expressed in the group to help to improve the final consensus that is reached. Collaboration can be used so that multiple objectives can be met, and a win-win resolution is established when consensus isn’t reached on a proposal. A collaborative effort is when everyone’s needs are met and nothing is taken away from the proposal. When decisions cannot be made because there is an idea that an individual does not agree with, this may result in a compromise. Compromise is defined as a strategy to achieve a decision whereby each party makes mutual concessions. Everyone may not get what they want, but they have a little less of what they don’t want. Other decision making strategies may include capacity building. Capacity building means to support skill and knowledge development, to raise awareness and increase members’ abilities to take appropriate action and make well-informed decisions. When a conflict is less pressing, further action can be delayed if the person(s) blocking consensus agrees that capacity building is a viable solution to the differences at hand. Once a concern has been identified, a major concern (also called a veto or block) may end up blocking consensus, which means the individual aims to stop the group from undertaking the proposal at hand. When there is an outright rejection of the proposal, action, or decision on the table, the major concern must be aligned with the Vision and Mission of the GSFPC and thus legitimated by the whole group. If the group decides that the concern is not aligned with the GSFPCs Vision and Mission, the conflict can be dropped. However, if the individual with the major concern wishes to exit the group due to the proposal, the group must carefully weigh this action. When a decision is blocked, the consensus process may be set aside and the group may choose to employ majority voting. In this context a majority of 75% or more of those voting must support the proposal. In addition, attempts to collaborate, compromise and build capacity must be wholeheartedly undertaken before majority voting is undertaken. This could be a vote for or against the proposal on the table, or for or against the original proposal being changed. Majority voting will only be used when there is a block on the proposal. It is a good idea to get a consensus on the best communication tool for your group, and under what circumstances to use the preferred method. For example, email communication can be delayed and thus more time consuming, so teleconferencing may be preferred for making quick decisions. Conversely, email is good for including all members in the process and to communicate on a variety of schedules. Finally, it can be helpful to revisit and evaluate the effectiveness of the decision and the decision-making process after decisions have been adapted. The group can reflect and note what worked and what didn’t to aid in future decision-making processes.